This is drop is just right for that little black dress or v necked black top. It is simple and elegant. 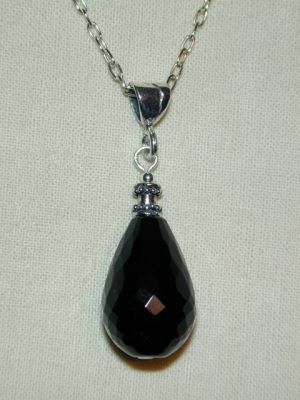 The lovely faceted onyx speaks for itself and is strongly presented on sterling silver.